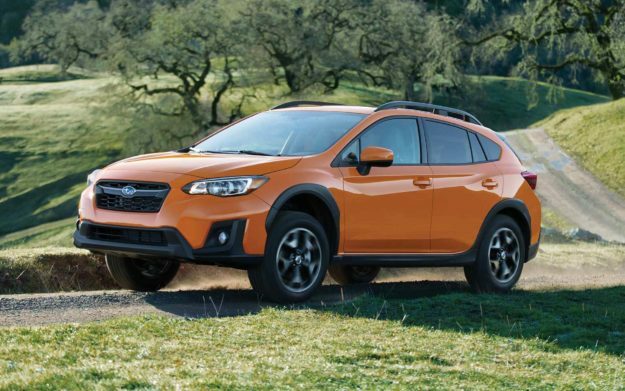 Expect to see a lot more of these Subaru Crosstrek hybrid-electric, plug-in crossovers in Colorado in the coming years after Gov. Jared Polis last week issued an executive order on adopting California’s Zero Emission Vehicle (ZEV) standard (photo courtesy of Subaru). Gov. Jared Polis last week moved to adopt California’s Zero Emission Vehicle (ZEV) standard, issuing an executive order that drew praise from local lawmaker Dylan Roberts of Eagle. “This is an exciting and important step for our state and for our environment,” Roberts, a Democrat who represents both Routt and Eagle counties in the State Legislature, told RealVail.com. “I am glad to see the new governor prioritize the issue of our time and generation, climate change, in his first executive order. Below is the Polis administration press release on the Democratic governor’s first executive order since taking the oath of office earlier this month. Polis, the former U.S. congressional representative for Colorado’s second district that includes part of Eagle County, was elected in a blue wave during the November 2018 midterms. Polis ran on a platform that included the goal of powering the state with 100 percent renewable energy by the year 2040. 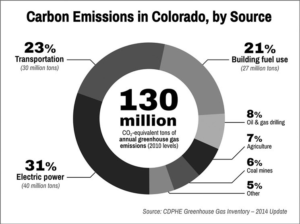 But that just targets the electric power sector, which, according to the Colorado Department of Public Health and Environment, accounts for 31 percent of the state’s greenhouse gas emissions. Transportation is second at 23 percent of the state’s emissions, according to the CDPHE’s 2014 statistics, and building fuel use comes in third at 21 percent. Ideas for mitigating those emissions were discussed in-depth at last week U.S. Mountain Community Summit, which Real Vail covered for the Vail Daily (see story re-posted below). Colorado was already in the process of adopting California’s Low Emission Vehicle (LEV) standard – a separate protocol allowed under the EPA’s Clean Air Act because California already had more-stringent state laws limiting emissions. Colorado has taken significant steps toward the transition to electrified transportation, for passenger cars and heavy-duty vehicles such as buses. The state offers a $5,000 tax credit for passenger electric vehicles (EV)s; partners with the private sector to build fast charging stations along Colorado’s major highways; allocates a portion of Volkswagen settlement funds to support vehicle electrification; and has adopted a goal of 940,000 EVs on the road by 2030. The state is also a signatory to the Regional Electric Vehicles for the West (REV West) Memorandum of Understanding which creates a framework for collaboration in developing an Intermountain West Electric Corridor. The Colorado Air Quality Control Commission recently adopted Low Emission Vehicle (LEV) standards. Today’s announcement builds upon these past successes in order to achieve the goals set by the state, achieve our climate targets and reap the billions of dollars in economic benefits. ‘Not stack-a-shack’ anymore: can modular homes save ski towns and the world? Can modular homes solve the affordable housing crisis in Vail and other ski towns across the West, and maybe even the save the planet as an added benefit? Maybe, but it’s still early days in the prefab revolution, cautioned developers and experts in the modular industry this week at the inaugural U.S. Mountain Community Summit in Vail.